You Would Eat This… Why Do You Breath It? Mold in your home, food, bed, even your car could be the cause of you getting sick and feeling sluggish and tired most of the day. Studies have shown that up to 40% of buildings in the United States contain mold (Seton, Kornblatt, 365 Energy Boosters). You could be denied home owners insurance if your home is covered in mold. But don’t worry about the home, worry about the home within your home; your body! If you have a moldy home, you may be suffering and don’t know it. Some symptoms can be as simple as a headache, inability to focus, rashes on the skin, horrible mood swings and more. Imagine that, you are hugging and kissing your kids one moment, the next you are YELLING THEM TO THEIR ROOM!! Molds can lead to respiratory conflicts and even major extreme fatigue that can lead to depression. 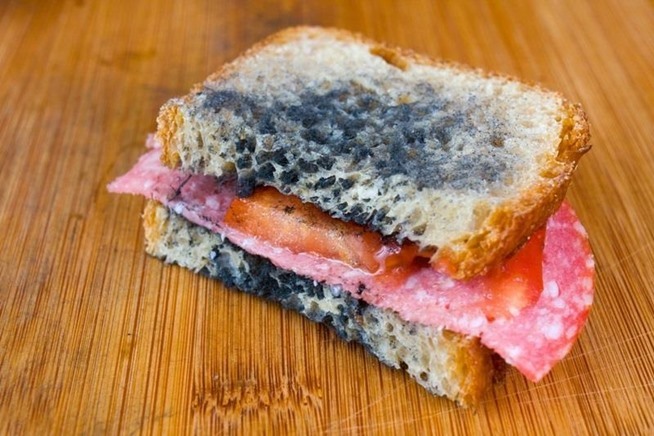 Dave Asprey talks about it in a new movie documentary called Moldy. Bottomline is that it can be ruining your life and you don’t know it.